I found this interesting video on sale whilst browsing on Amazon yesterday. This buyer’s guide teaches how to appraise, critique, determine originality and playability, recognize counterfeits and predict future investment values. Using both electric and acoustic guitars as teaching tools, George examines finish, hardware, fret type, inlays, bindings, peg head shapes, more. 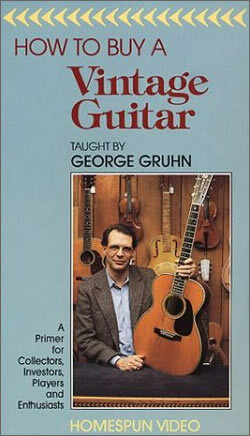 As I’m sure you know, George Gruhn is one of the most well known experts in vintage guitars and this video will be packed with tips and hints built up from his life times experience in guitar collecting and dealing. It’s an American tape, so foreign buyers should check they can play it in their own countries. 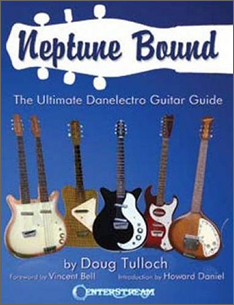 If you have questions about guitar amplifiers-how to fix them, how to restore them, or how to hot-rod them-this book has the answer. 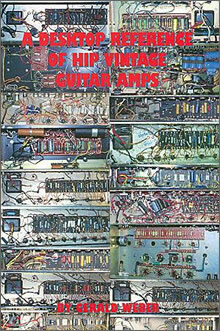 This book is written for the guitarist or collector who desires a common sense approach to understanding the essence of vintage tube amps and vintage tube tone. Not written for engineers, it does not contain engineering formulas, polar mathematic equations, or abbreviations that are assumed you should know. Gerald Weber, a regular columnist for Vintage Guitar magazine, shares the knowledge he has accumulated over the years of repairing and building his line of Kendrick amps. We have put together a free ebook for all our visitors as a thankyou for your support over the last few months. 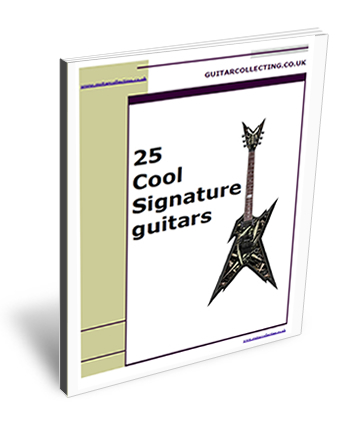 “25 Cool Signature Guitars” is almost 50 pages long and is available for free download by filling in your name and email address on the right. We are also giving you permission to copy, give away and redistribute our book as many times as you like, just so long as you don’t alter it in any way. If you have your own guitar website please feel free to offer it as a giveaway too. 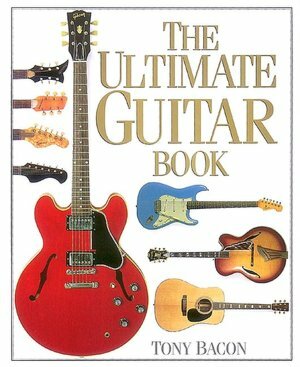 We hope you like the book, it’sÂ not a definitive guide of signature guitars, but a just aÂ personal view of some guitars that we think are either well known, Â interesting in some way, or just cool! HagstrÃ¶m guitars hold a place in musiciansÂ´ hearts. 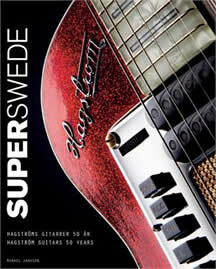 Many of the worldÂ´s greatest played HagstrÃ¶m instruments, from ABBA to Zappa. Other international star users are Jimi Hendrix and Elvis Presley. Musicians of a younger generation have also discovered these Swedish quality instruments, for example The Cardigans and Sahara Hotnights. 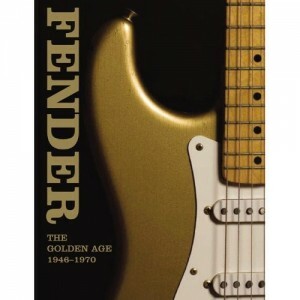 This richly illustrated book â€“ more than 400 photos â€“ displays not only the guitars and basses made in the Ã„lvdalen main factory between 1958 and 1981, but also HagstrÃ¶m instruments sold under other brand names, and instruments built in the Falun and Oslo factories, and by BjÃ¤rton. The close to 200,000 HagstrÃ¶m guitars made are a symbol of Swedish musical, cultural, and industrial history and a fine example of Swedish design. Author Mikael Jansson is a journalist and musician, and in 2006 published a book (in Swedish) about the Hagstrom company history, “Musik for miljoner”. Great video clip from 1988 of Steve Howe, best known for his playing with Yes and Asia, talking about part of his extensive guitar collection. Phil Taylor (London) has been working for Pink Floyd continuously since he was 22 years of age. In 1974 he was employed by Pink Floyd to take care of the band’s personal equipment used on stage and in the studio. He has worked on every Pink Floyd and David Gilmour project for over three decades. 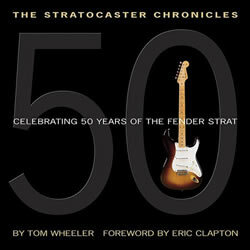 This book is a great gift or alternative for those of us who can’t afford the two and a half grand for the new Fender Â signature replica! Take a closer look at the book in the link..